You may have heard about the short-term and long-range effects of being bullied, but what are the effects of being a bully? Children who are bullies have an increased risk for many negative outcomes. Parents who suspect their child is engaging in bullying behavior may want to intervene to help prevent these problems throughout their child's life. People who are or were bullies are more likely to drop out of school than their peers. They are at increased risk of experiencing depression, anxiety disorder, and psychological distress, especially if they face up to the seriousness of their bullying behavior. 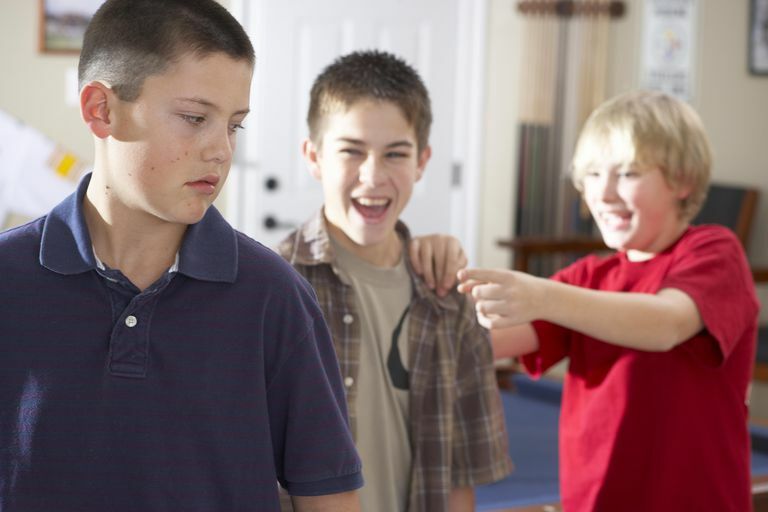 Bullies are more likely abuse tobacco, alcohol, and marijuana. They are more likely than their peers to engage in early sexual activity. Being a bully as a child or teen increases the odds of future run-ins with the law. By their mid-twenties, former bullies have more traffic violations and four times the rate of criminal behavior than their non-bullying peers. By their mid-thirties, 60 percent of people who bullied other children in grades 6 through 9 have at least one criminal conviction. Former bullies are also more likely to carry weapons than non-bullies and may develop antisocial personality disorder. Being a bully in childhood seems to impact the person's home life as an adult. Former bullies tend to have problems with long-term relationships and may be abusive toward both their spouses and children. They also have a harder time securing and maintaining employment than people who were not bullies. People who had been bullies are more likely to have children who become bullies themselves, thus beginning the cycle all over again. Far more research is done into the effects of bullying on the victims than the perpetrators. Also, there are a significant number of bullies who also are victims of bullies. Many of the reviews were done in older studies. It brings to mind the question of whether cyberbullies will have the same negative consequences as traditional "real-world" bullies. Bullying behavior may be a sign that your child needs help to develop coping mechanisms and appropriate relationships with others. If you can intervene to end bullying behavior and help your child develop better social skills, it will benefit your child for the rest of his life. Vanderbilt D, Augustyn M. The effects of bullying. 2010. Pediatrics and Child Health. 20,7: 315-320.